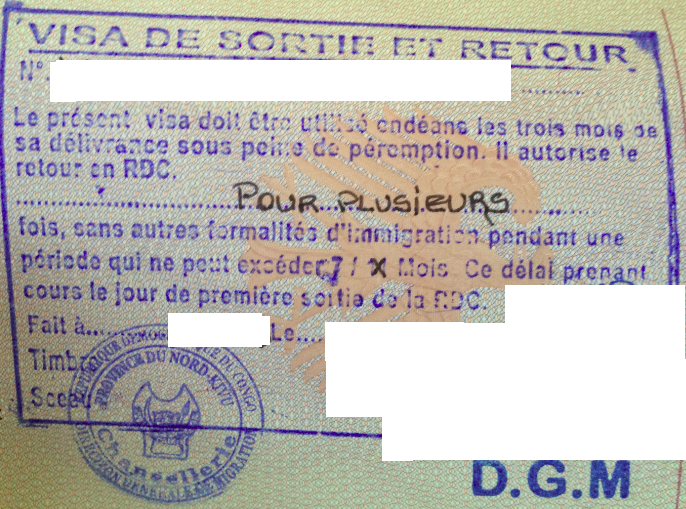 BE AWARE: You can only apply for a Congolese visa in your home country or country of residence (you will need to show proof thereof). 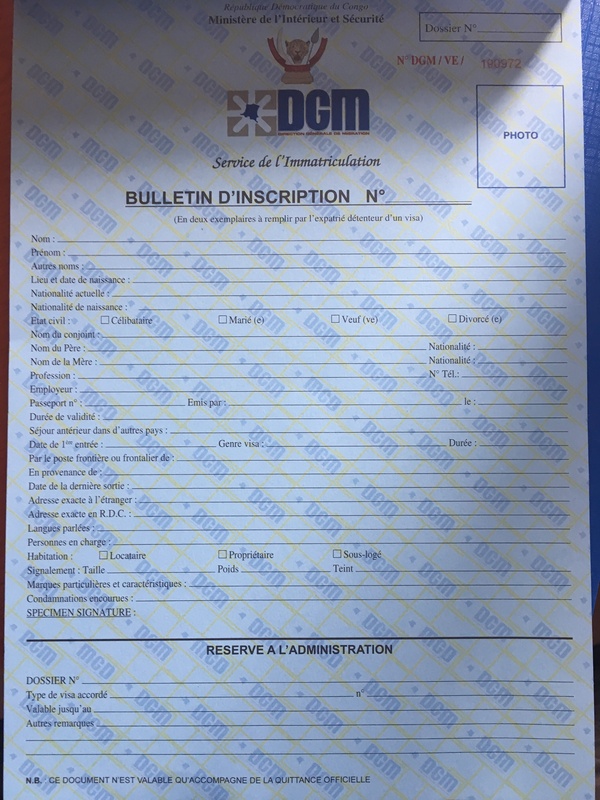 Each tourist needs an invitation letter from a Congolese citizen or registered organization (see sample). Always carry your vaccination papers with you to avoid a fine of $70! If you travel with a UN passport, take your regular passport along, too. Rwandan officials want to see both. 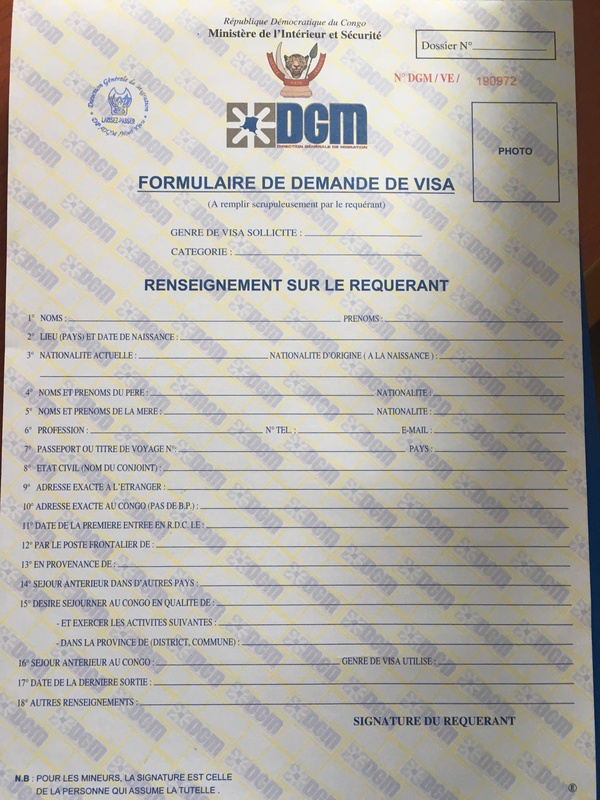 If you apply for a visa to Congo, you need a sponsor who has to notarize his invitation letter for you at the mayor’s ($20 + 30250 FC for DGRAD), buy two documents at DGM for $100 (see below), fill them out and pay $20 at the commune. Be aware that you will lose your visa upon leaving the country. You will need to get an additional 7-month multiple-entry visa for $186. You’ll need to bring two passport photos, which you can also take in front of DGM. No further copies needed. Make sure that you activate your so-called visa de sortie et retour before the first three months after delivery otherwise you’re going to lose it. It usually takes 1-3 days to process your request. The immigration officer in charge of visas is available at +243 997 128 559. 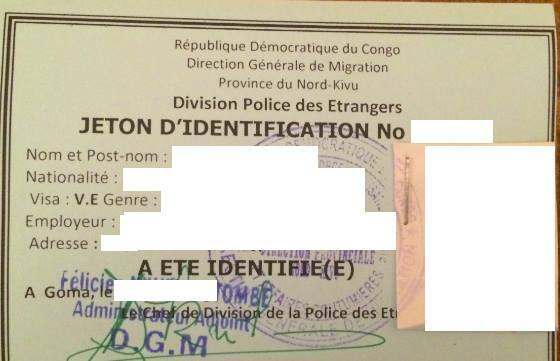 Foreigners living in North Kivu (not tourists) need to go to DGM in Goma to request a blue card called jeton d’identification (see below). They’ll be asking you for it at the border. You’ll need to bring your passport, four passport photos, one copy each of your passport front page, visa as well as your visa sortie retour in case you have a visa d’établissement, and a signed and stamped orde de mission from your employer. It should take no more than two days and is for free. You need to renew it every year. $233/1 month, $300/2 months, $350/3 months. You will need to provide a copy of your passport and visa together with two current passport photos. Some humanitarian organisations ignore the immigration rules, putting their own staff at risk.